Can I claim these costs back? I am about to rent out my house in 2 months. Can I undertake painting and decorating, replace a kitchen (similar standard) and change light fittings for new ones? Can I claim these costs when I start renting? I have heard that it can be done up to 3 months before but not sure. The three different kinds of expenses that you write about i.e. painting and decorating, replacing a kitchen like for like and changing light fittings are all revenue expenses. 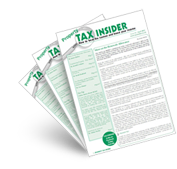 See http://www.hmrc.gov.uk/manuals/pimmanual/PIM2020.htm, page PIM2020 on the HMRC Property Income Manual. If you look there on http://www.hmrc.gov.uk/manuals/pimmanual/PIM2505.htm, page PIM2505 you can see that such allowable expenses can be claimed as though they occurred on the first day of trading, if they were incurred seven years before that date. So keep all your invoices.